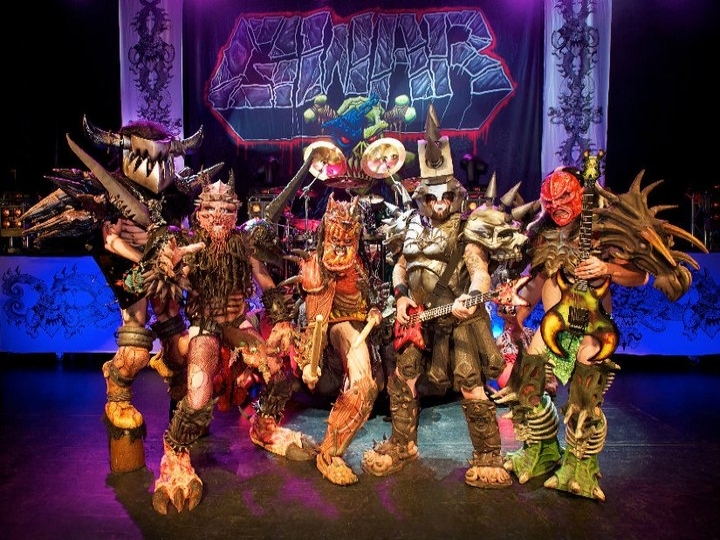 Formed from the fusion of the two bands Death Piggy and The Slave Pit, GWAR (originally GWAARGGGH!!!) began making over the top thrash metal in Richmond, Virginia in 1985. The now 6-piece is notorious for its extreme costumes, obscene lyrics and stage performances that involve bloody satires of political figures and pop culture. The group has grabbed multiple Grammys, MTV awards and an extremely diverse audience made up of fans that wouldn't normally listen to metal.